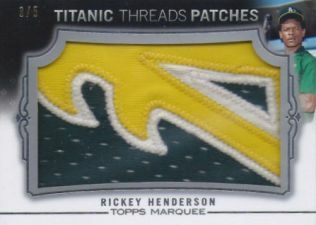 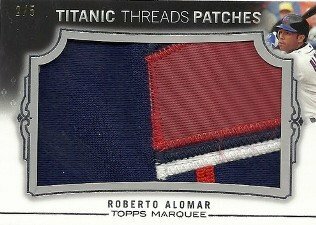 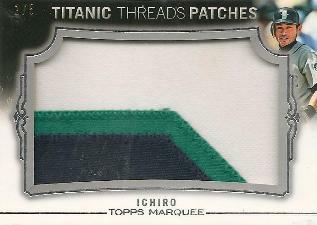 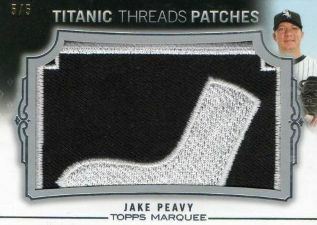 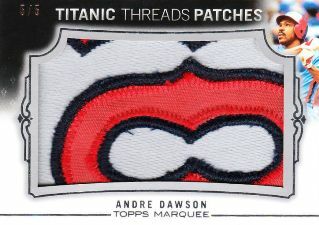 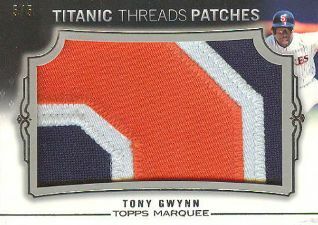 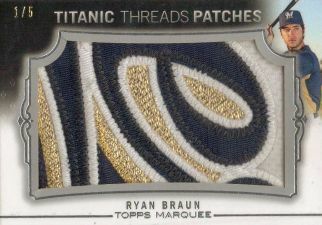 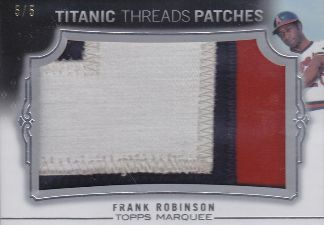 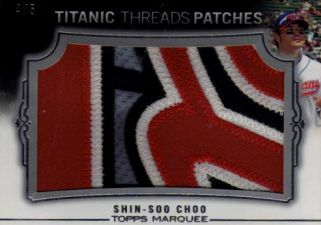 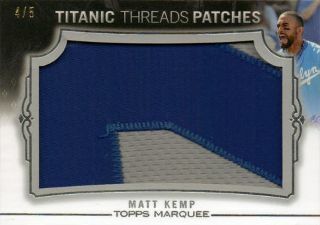 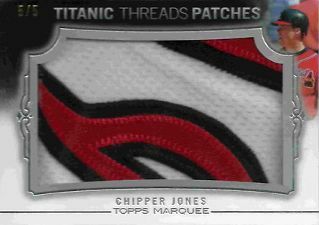 2011 Topps Marquee Baseball promises one jumbo memorabilia Titanic Threads card in every box. 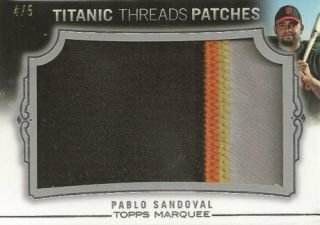 Most are plain swatches, however there are some fantastic-looking patch versions, the majority of which are numbered to 5. 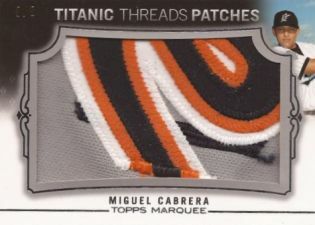 You can follow more hits from 2011 Topps Marquee Baseball in the thread at our Card Collectors World forum.